What have you done to make the world a better place? Nothing. Seriously. I’ve done nothing to make the world a better place, and neither has anybody else. This planet is vast with numerous societies and cultures. No one person can make everything better for everyone. We can positively influence our social spheres and may even have some impact on others, but never in totality. That’s not life or the world works. Sometimes, low-tech is the way to go. Writing things down can help reinforce memory, which is why so many instructors insist students take notes by hand. I try to have pads and pens EVERYWHERE! I think every room of the house has at least on writing instrument and paper. Ironically, much of the time, I’m going crazy trying to find a pen or pencil, and I’ve even had to resort to using a crayon when a bout of creativity hit me. Writers benefit a great deal by getting their ideas out of their heads for later reference. A slip of paper hanging on the wall can be more readily available than info buried in an app. Many of us also have a tendency to ignore notification dings and buzzes, so jotting things down is the best way to go. Check out how I manage some of my story ideas. 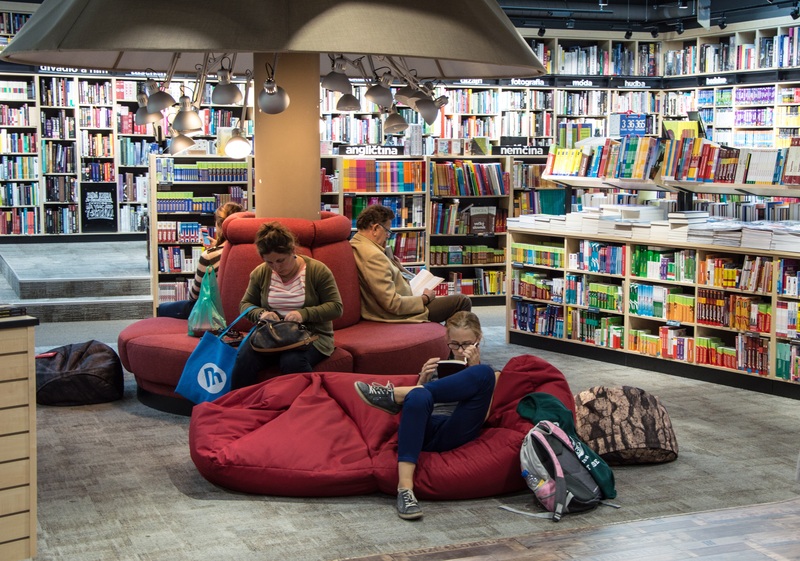 MFRW 52-Week Blog – How books can influence daily life. I have books e’rywhere. I think each room in my entire house (basement included) has a book. Yeah, I checked. Fortunately for me, I married a bibliophile. When we married and I moved into his apartment, he sat my boxes of books in front of his wall-high shelf filled with books. Our collections have been growing for over 27 years. Our kids caught the book bug as well. MFRW 52-Week Blog – Reading, Writing or Living? I haven’t been a writer my entire life. As a matter of fact, I used to H*A*T*E writing—thanks to my terrible penmanship and a list of drill sergeant teachers who just couldn’t get that the chicken scratch in front of them was the best they were going to get out of me. Once I took my first keyboarding class in high school, I never looked at a pen the same way. I avoided them in favor of the musical clicking that lulls so many of us into sharing our thoughts, ideas, and stories. Eventually, a real love for writing followed. Now, I can not quite imagine my life without being able to write. The same goes for books, but unlike writing, I was able to develop a love for reading at an early age. I majored in literature in college, and my master’s thesis focuses on literature. While in grad school, I started using my literary criticism skills to review books. I also became a contributor to my college’s student newsletter, which extended into a freelance gig with other online media, and I just published (indie, of course, duh) my first novel. So much of my life is spent reading (entertainment, to my kids, to review, etc.) and writing (articles, short stories, books, and so on) that I can’t imagine compartmentalizing any of the three. I kind of glide along a continuum, where I may be doing one more than the other, but all are still there. Ladies and gentlemen, I give you exhibit A. A Muslim woman who wears the hijab and is a romance author? Why can’t all those descriptions belong to the same woman, says Layla Poulos, whose debut novel, My Way to You, is climbing its way up some of Amazon’s Best Sellers charts. Layla, who has been writing for years and loves the romance genre, advocates for more openness and discussions about romance and sexuality from a faith-based perspective. When it comes to her fiction writing, however, she places no restrictions on how much heat she brings to her stories. 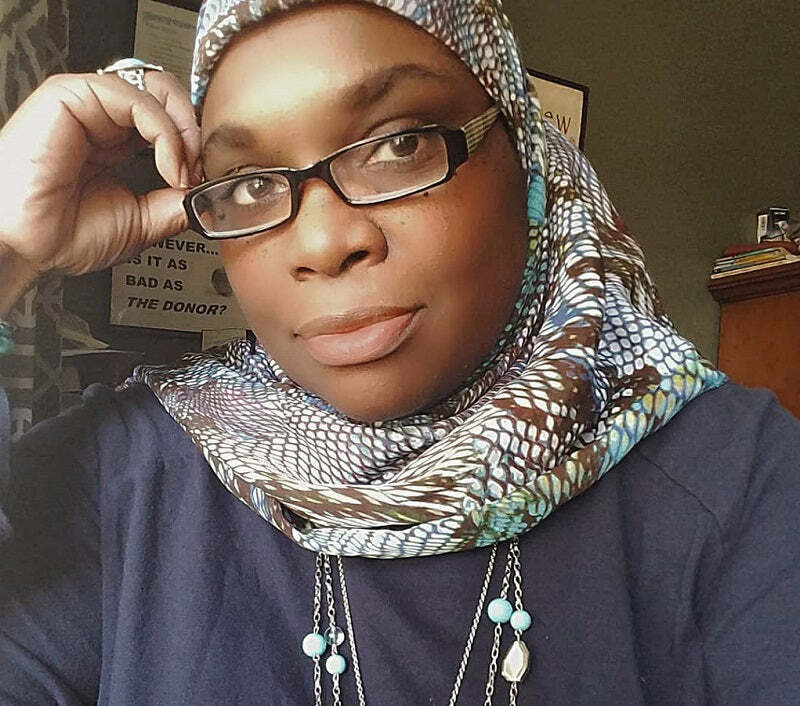 I recently spoke with Layla, who writes under the pseudonym Lyndell Williams, about her career, writing romance stories as a hijabi Muslim woman, and if she will ever write romance with Muslim characters. A covered Muslim woman is probably the last person readers would expect to write a romance. What made you want to write in the genre? I’ve been an avid romance reader all of my adult life. When presented with the opportunity to study the genre during my graduate studies, I took it. I now explore romance as a reader and romance scholar. Read the entire article – 1,297 more words. Share a recipe for a food that comes from one of your books. Yay! Food is so a part of my romances. I like to use some of what characters eat as symbolism. For example, in My Way to You, I have Regina either making or eating eggs to represent the fragile but nourishing nature of the developing relationship between her and Simon. They are so good for each other, but things constantly threaten their ability to be together. But, I’m not sharing an egg recipe. I’m picking something that Regina’s brother Marcus and his wife Toni eat. Marcus Kent loves him some Toni. He calls her sweetness, and she is the main person to bring him to equilibrium. Basically, she got him on lock, and he goes out of his way to make her happy. In one scene of My Way to You, Marcus treks from Harlem to the famous Abu’s Homestyle Bakery in Brooklyn. Abu’s is a historical landmark for New Yorkers, especially African American Muslims like me. They have some serious oven action going on, and whenever I get a chance to travel the 2 hours, I stock up, because the cakes and pies are everything. Toni has a similar liking for the bakery, so Marcus picks up a box of assorted pies for her. #MFRWAuthor-Woke Romance is a Thing? Week 1: Writing – Doing it for fun, profit or other? For many authors, it may seem like questions like the one above are asked so frequently that they have become trite and answering them tedious and tiresome. Before releasing my first novel—in my other life—I interviewed authors and heard them complain. So, I would try to avoid asking such questions. Now I realize my mistake. Share your writing goals for 2019. I’ve been asking writers and authors to share their 2019 writing goals all last week. I reached out to romance authors and ask them to tell readers some of their goals for this year, and I did the same for Muslim authors on the NbA Muslims blog on Patheos. It was great reading what authors and writers had planned as well as including some of my goals. I also took a moment to take part in an Instagram author’s challenge post.